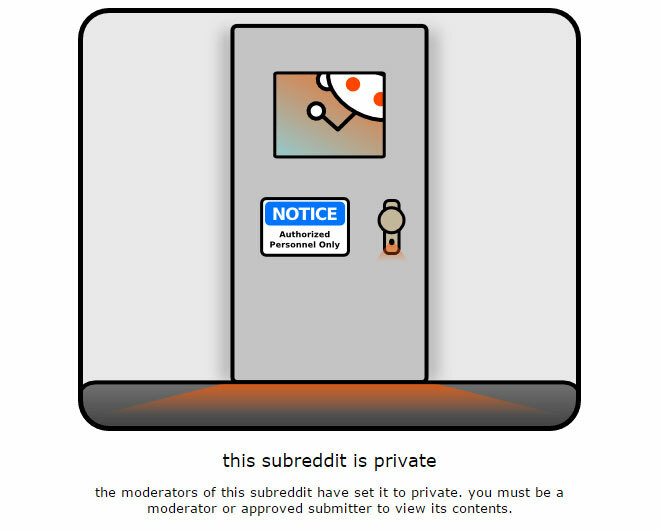 reddit is in a state of turmoil after firing of one of the employees for unknown reasons. The employee, Victoria Taylor (u/chooter), was coordinator of AMA and sort of the company PR for engaging with celebrities for their AMA. This has caused several of the subreddits to go private as a protest. After her sudden firing yesterday, several of the subreddits who were about to organize AMAs came under distress as Taylor was their only point of contacts with the people doing the AMAs and without her they couldn’t proceed. Other than disrupting activities, Taylor was also well-loved in the community and pretty much the reason why any of the AMAs took place and were a success. For those not aware, AMA or Ask Me Anything, is a format where famous people have appeared on reddit and answered people’s questions. Anyone, who’s anyone, including US President Barack Obama, have done an AMA in the past. Taylor has often been the link between the redditors and the celebrities, sending the latter the questions and typing out their responses for the former to read on the site. Taylor’s inexplicable firing isn’t the only reason. Off late, the site’s administration has come under flak for mismanaging the site, shutting down several of subreddits for being offensive and disabling free speech. reddit’s CEO – Ellen Pao – has, in particular, been a target for the uproar and widely believed to be the reason for reddit’s recent poor managerial decisions, with redditors demanding her resignation for a while now. The firing of Taylor just added fuel to the fire. As of now, /r/IAmA, /r/AskReddit, /r/Books, /r/science, /r/Music, /r/gaming, /r/history, /r/Art, /r/videos, /r/gadgets, /r/todayilearned, /r/Documentaries, /r/LifeProTips, /r/Jokes, /r/pics, /r/Dataisbeautiful and /r/movies have all made themselves private by their admins in response to the removal of Taylor, and you will get a ‘this subreddit is private’ message if you try to access them. How long this continues is unknown but reddit definitely needs to come forward and explain a few things, not to mention make some changes as to how the website is run, before things go back to normal again.